While my one true love is books about sisters, I also get pretty excited when I find a great book featuring friendship. In fact, the novel I’m working on has a a female friendship as the central relationship to the story. Here are some of my favorite books about friendship. Please let me know what yours are in the comments below! Thank you to The Broke and the Bookish for hosting this weekly book meme. 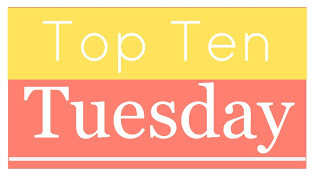 This entry was posted in top ten tuesday and tagged books, friendship, Top Ten Tuesday by Alison Doherty. Bookmark the permalink. Burn for Burn is a great choice, as the friendships aren’t exactly built on something healthy, but they’re still so intriguing. Thanks! Yeah I think it is a book that is about an unexpected friendship … which is something I like because that feels very real to me. A Separate Peace has been on my TBR list for years. I’m a little embarrassed that I haven’t read it yet. I’m glad to see Harry Potter featured on so many lists this week. That series really did teach an entire generation about friendship and loyalty. Great picks! Thanks for commenting! I think Harry Potter is a really natural choice for a book about friendship. There are so many friendships focused on in the series. A Separate Peace has been on my TBR list for years, as well! And the one time I tried to read a copy I had procured, it fell behind a cupboard in the bathroom and mysteriously disappeared when the bathroom was remodeled! D: We shall persevere, though! Definitely give it a read if you get the chance. I read it for school in 9th grade, but it definitely made an impression. That is such a big compliment! I’m glad to hear someone else loves Beach Music. It is one of my favorites. Great list! I love Brideshead Revisited and reread it every few years.